Bob Dylan was, and is, folk music. His music inspired thousands and promoted relevant issues of his time. When listening to him now, you really get the sense of the times when he wrote his songs. The feelings expressed through his long drawn out vocal style take you back to the 1960’s and the pivotal issues facing the country back then. When looking at Dylan, it is hard to say what songs exemplify him, what songs are his hit, because all his songs are hits and all his songs exemplify him. So for this post we are going to be looking at his Greatest Hits album that came out in 1967. This compilation features many of his well known songs. The first very well know song is “Blowin’ In The Wind” this is a musically simple song, with intellectually heavy lyrics. The song talks about the injustice in the world, a sort of mantra for Dylan. The next track is “The Times They Are A-Changin”, another intellectually heavy song as it speaks about the changes that were happening in the 1960’s and how these were not minor changes but changes that will last. “It Ain’t Me Babe” really showcases Dylan’s vocal abilities. His voice seems to float over the top of the melody as his sings about his career and how he wants everyone to know that he is not the final solution, his music is not the final solution. “Like a Rolling Stone” is the next track and the one probably most known. This is also a controversial track as he goes electric, an idea with only negative connotations in the folk world. Despite this, the sound of this song is memorable as it has been covered by many other bands, like most of his songs. Another track that became just as popular through a cover of it was “Mr. Tambourine Man”. 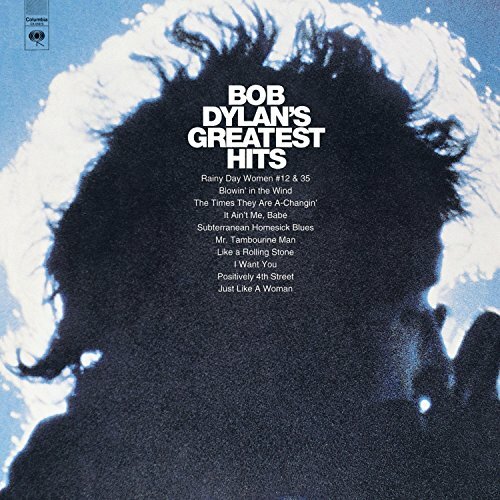 Although the Bryds’ version became popular, I think Dylan’s version is much better. The style and the feel are more personal and Dylan’s version seems less commercial and more authentic. Dylan’s exploration in rock is shown through the next track, “Subterranean Homesick Blues”. THis track is more stylistically rock and does not delve into the typical political and social issues that are often featured in Dylan’s songs. The album then stays away from this kind of song topic with “I Want You”, a simple love song that features an organ. The album then closes out with “Just Like A Woman”, a song about Joan Baez, a folk singer before Dylan. This is one of his more pop-like songs that has turned into a standard for many, even in the jazz world. Bob Dylan certainly was an influential and inspiring song writer and figure. His work influenced generations and will continue to be played for generations to come.